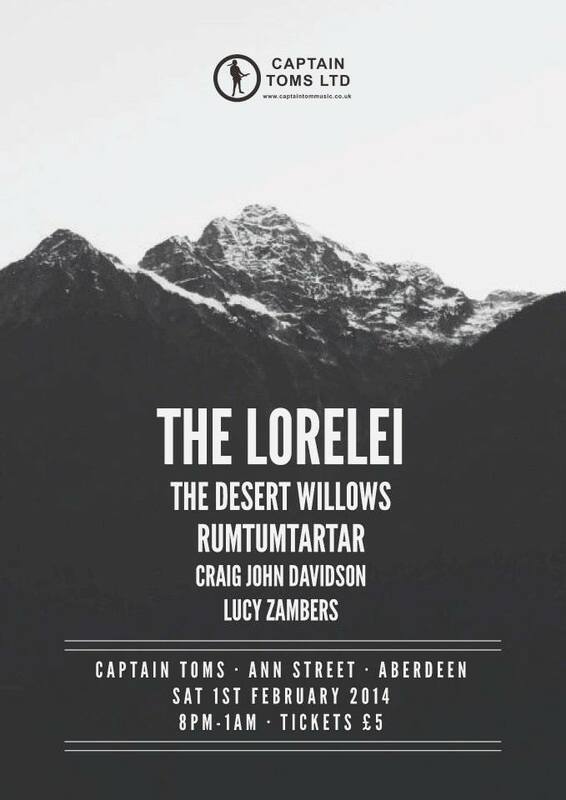 Our first gig of the year will, fittingly, be at the best small venue in Aberdeen, Captain Toms. We are delighted to be performing on February 1st for Tom and Fat Hippy Records with our great friend Craig John Davidson as well as The Desert Willows, Rumtumtartar and Lucy Zambers who are all new to us. We really look forward to hooking up with you guys too. We will hopefully be able to use this night to unleash some new material. Tickets are limited so get there quick for a great night of tuneage.